August 29, 2018 at 11:18 am. 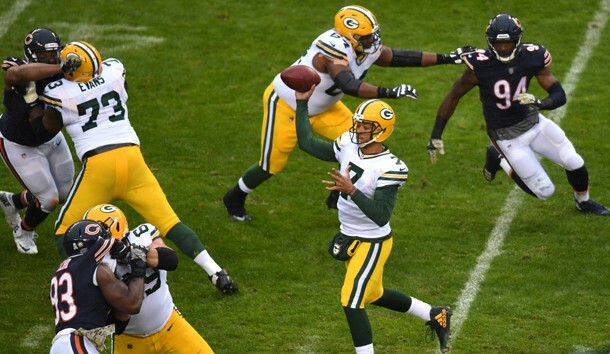 NFL Network Insider Ian Rapoport reported that the Packers will receive a sixth-round pick in the 2019 NFL Draft in exchange for Hundley, who filled in for the injured Aaron Rodgers last season. Green Bay traded for former Cleveland Browns quarterback DeShone Kizer during the offseason. He joins Tim Boyle as backups for Rodgers, who is a two-time NFL Most Valuable Player and six-time Pro Bowl selection. Hundley threw for 1,836 yards with nine touchdowns and 12 interceptions in parts of 11 games in 2017. He averaged 7.5 yards per rushing attempt, the most among all quarterbacks with at least 35 rush attempts last season. The 25-year-old Hundley has completed 194 of 326 pass attempts for 1,853 yards with nine touchdowns and 13 interceptions in 15 career games since being selected by Green Bay in the fifth round of the 2015 NFL Draft. Hundley went 8 of 14 for 78 yards while being sacked twice in Friday’s preseason loss against the Oakland Raiders. Listed at 6-foot-3 and 226 pounds, Hundley will serve as Russell Wilson’s backup in Seattle. The Seahawks also have Austin Davis and seventh-round rookie Alex McGough on the roster.